Planning a holiday or vacation in Cyprus this year? Maybe looking for some things to do during your time in Cyprus. Have you already dived before? Made a try dive a Padi Discover SCUBA? 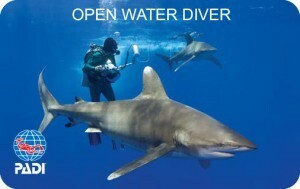 Then Padi Openwater Course maybe what you’re looking, it’s the Next Step for diving in Cyprus. Why not consider the PADI open water diver course in Protaras with Easy Divers. The open water course is the first certification you can take as a PADI open water diver certification. The padi openwater course theory can be completed online or a more traditional way is where you are to attend classroom sessions by your instructor. After your dive theory you will need to complete five confined water dives these. You will learn new skills to become a qualified padi scuba diver. If you find it difficult or having difficulties in practising the skills, don’t worry. Our PADI instructor will help you master the skills and repeat it so you can achieve your goal of a padi openwater diver certification. Once your instructor Has helped you achieved the confined training sessions in the water, you will move on to 4 open water dives. These four dives consist of what you’ve already learnt in the confined training session. Once your instructor has helped you achieve the confined training sessions in calm water, you will move on to 4 open water dives. These four openwater dives, which consist of the diving skills what you’ve already learnt in the confined training session. So, your instructor will ask you to do what you have already mastered. You will need to show your instructor that you can make the skills you have already done confidently in open water of the sea. This will help you build your confidence upon your diving skills. In no time at all you are achieved your PADI openwater diver certification. Upon completion of the padi openwater course cyprus, students will be able to dive up to a maximum depth of 18 m. We recommend you dive with a professional. However, as a PADI open water diver you can dive with fellow divers of similar certifications to the same depth of 18 m.